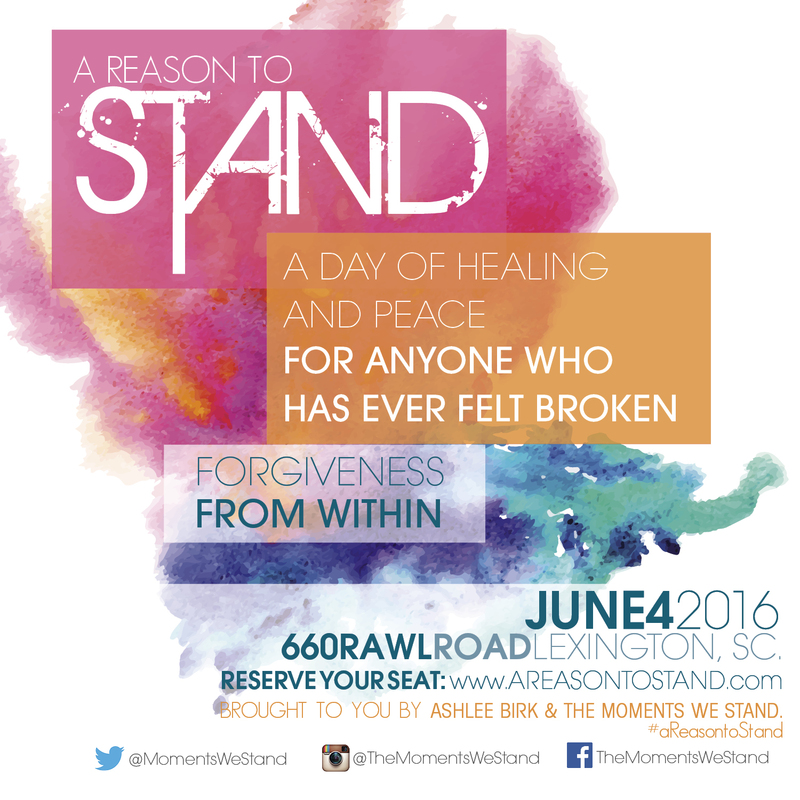 The Moments We Stand: Who are you becoming? WHEN LIFE HITS YOU SQUARE IN THE JAW, you are confused. While taking in your surroundings, trying to piece together a plan of action, your ears are still ringing from the impact. What just happened—is this for real? I hurt all over. I can’t deal with this right now. I’m scared and don’t know what to do. It’s okay to be confused in these situations. It’s perfectly normal not to have an answer when asked, “What do we do now?” I know I didn’t, and I still don’t have all of the answers. Choices I make for one situation don’t always work on another. It’s an ongoing process that if you want to succeed, you must continually make purpose filled choices that allow you to move forward. Even if it’s just making the decision that you won’t give up. This is a step forward and that gives you a direction to go. Deep emotional injuries, feeling completely broken inside and wanting to quit, have been companions of mine for some time. My life was mirroring perfection until I was abruptly blindsided and thrown into a world I had only heard of, but never thought I’d experience. I couldn’t imagine this nightmare would ever happen to me. We never do. 14 years ago I severely broke my neck snow skiing leaving me paralyzed throughout most of my body, adopting a new title of “quadriplegic”. Over the next year with tremendous hard work I regained almost half of the function I lost. I was going to walk again and I knew it! My life would be normal again. 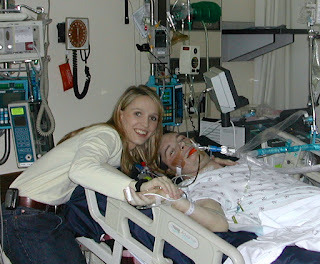 Just over a year after my skiing accident I came down with a critical case of pneumonia and was rushed to the hospital unconscious. While getting x-rays of my lungs I was dropped off the table and broke my neck again. This time higher up. I lost the use of my hands, triceps, and any movement I had regained in my legs. As much as I’ve tried over the years none of that physical movement I lost that fateful morning has returned. Life can be hard! It can be paralyzing and make you feel powerless! I fought so hard to progress that far in my recovery only to have it ripped out from under me. After the second neck break I was not only suffering from another physical impairment but was agonizing about my future mentally as well. So many others looked up to me as their example of strength and courage by how I’ve handled these situations. Life is an endless process to become someone. Every experience you have and every choice you make is molding you into the person you are becoming. Are your choices creating the person you want to be, in the life you want to live? You might think you didn’t want to become the person you are today. When you were younger you had a whole different plan in mind of what you would be when you grew up. You didn’t choose this life and the struggles you’ve faced. That’s out of your control, right? There is a lot of truth to that. We don’t always choose the trials we’ve had to endure. However, we have made relevant decisions during those trials that are continually shaping ourselves into what others see, and more importantly, what we see in ourselves. Who do you want to become, and what steps will it take to get there? If you want to be known as an honest person that consistently tells the truth, no matter how uncomfortable and embarrassing the consequence, you can choose to do that. If your dream is to live a long happy life married to the same person, then put your spouse’s needs first and never let your eyes wander. If being financially successful is your goal, then put in the energy, sacrifice and hard work ethic so you can attain that dream. When you know where you want to end up, then it helps to create a roadmap of what you must do to get there. The path we take in this life is rarely the one we hoped for. There will be roadblocks, disasters and even sinkholes that will make you feel your desired path is no longer available. Sitting at home with a second crippling broken neck was devastating. I was staring at the realization that I would most likely never stand up taller than my wife again. There would be no need for her to get on her tippy toes to kiss me. Imagine all the activities you use your fingers for each day that make you productive and happy. Playing the piano was so inspiring and relaxing to me when the pressures of life weighed heavy on my shoulders. That peaceful remedy had now vanished. Throwing a tennis ball into a local pond for my black lab, Sage — one of my best friends—was no longer an option. I particularly loved bending over and holding hands with my 2-year- old daughter before church. She felt like a princess in her pretty white dress and ponytails as we danced around the family room together in our pretend castle. Truth be told, she made me feel more special than I ever did her. Of course there’s much more to it than this, but these are some of the little joys in life I will miss. All these tiny snippets of wonder are now gone and I can’t choose to bring them back. Only through my mind’s eye will I re-live these very ordinary experiences that have now become extraordinary memories. Now what? Do I quit and let others run my life because it’s too hard, or do I push forward? I stumbled through every emotion imaginable, from feeling completely indestructible to a brief thought of suicide. Hopelessness, remorse, resentment and despair, were all invited to my party. On the surface everyone saw a very positive and driven individual who wouldn’t give up. Deep down I’m not sure if anyone, even my wife, knew the terrifying doubt and fear I was suppressing. “This is not who I wanted to be. People expect more of me. I expect more of me.” Though I felt a great deal of loss, I never did lose one thing — my faith. Faith that life could be better. Faith that I can do more. Faith that I can become the person I’ve always envisioned. I’m not saying that all pain, suffering, and feelings of despair have good that come from them. I don’t believe this to be true. There are terrible acts of destruction to the mind, body, and spirit out there. I do believe that even though these instances may occur, there is an opportunity for growth and strength to come from them. Making the most of these experiences can be extremely difficult and challenging to comprehend. It is up to you to sift through the rubble, find the good, and decide to apply those learned principles in your life. Life hit me square in the jaw and it hurt. It hurt bad! Not many people will break their neck on two separate occasions, leaving more of their body paralyzed each time. I came to realize this was all part of my purpose, that there was a mission I needed to accomplish. What that mission is, has been an ongoing process to discover. What are your aspirations in life, and are you on track to accomplish them? Don’t expect this transformation of becoming who you desire, to happen overnight. It takes time and discipline to change thoughts and behavior. Always be willing to say, “Bring it on,” because you are capable of greatness, and no one can generate this forward momentum but you. You must believe in yourself and have faith that your life will become everything you’ve ever dreamed of. It’s time to live a life unfrozen! 1- Who do I want to become and why? 2- What three changes will I make in my life to get there? My name is Nathan. I will never physically stand again in this life, but I choose to stand unfrozen. Check out his website www.NathanOgden.com. You can even get an autographed copy. Select the “buy now” button. It’s also available on Amazon and Kindle. Here is a great video of his family that shows just how strong they have all been using these tools and living life unfrozen. Truly a heartfelt and inspiring story!! What a beautiful family!! You are meant to do Great things my Friend!! God Bless You and Yours!! Thanks for sharing!! Your strength and courage is lifechanging for me!! I'm so grateful I could read this! Thank you for sharing your hope and faith!